This article is 2778 days old. This Thursday, September 15, Juno Nominee, Platinum Recording Artist, Linda McRae Coming to a Living Room Near You! 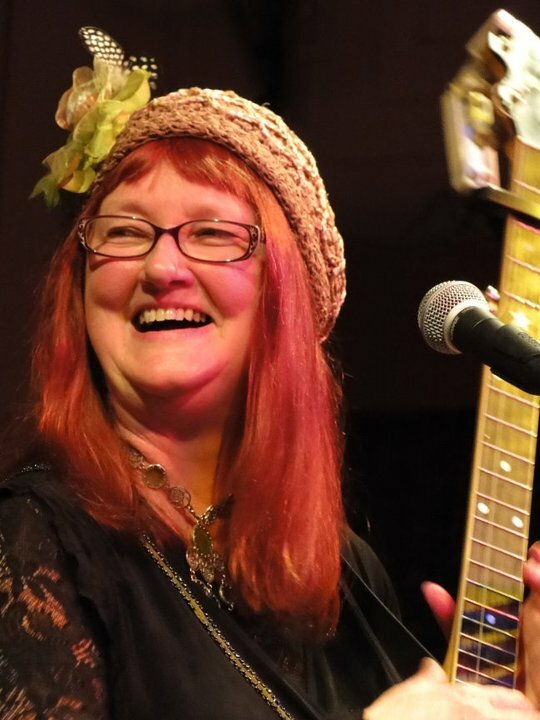 For Karen Morand, a local musician seen in clubs and cafes throughout the Essex County region, it was a no brainer when she received an email that her fellow musician, mentor, and friend, Linda McRae was coming through on tour and needed to fill a September date in the Windsor area. Karen Morand, a singer/songwriter and her band Boscoe one of the openers for the show, knew that offering her living room, would also afford Juno Nominee, Platinum Recording Artist (formerly of Spirit of The West), Linda McRae a friendly place to stay, an opportunity to visit Karen and allow her friend to do what she loves best; play her traditional roots music in cozy surroundings. House concerts are sweeping the country, as hosts bring in artists, of national and international fame, as well as local talent to open the shows in the intimate settings of their homes. All that’s needed is a space big enough to accommodate 20 people or more, and a respectful listening audience. It’s a winning situation for the musician, the host, and the audience. The musician, either unplugged or subtly rigged for sound, experiences an attentive audience, sell their CDs, and keep the proceeds of the event which are donations serving as admission. The host has the opportunity to show off artists that may be well known to you, or exposes you to aspiring talent, and the audience experiences an up close, warm and personal concert without straining to hear over conversations of club patrons, and the ability to interact with the artist after the show. House concerts are not business ventures; they’re private concerts in private homes. Homeowners don’t charge an entry fee; admission is a suggested donation that goes entirely to the artists. Invitations are required, and if you don’t know the hosts personally, you can request one or ask to be on a mailing list. McRae, a Canadian singer/songwriter and multi-instrumentalist, now based in Nashville honing her craft, earned 2 Platinum and 3 Gold records during her tenure as bassist/accordionist with former Canadian Celtic/Roots group Spirit of the West. Linda left the band to resume her solo career and has since released three critically acclaimed recordings, receiving air play, garnering rave reviews, and creating a buzz in the US and Canada, and the UK. Windsor Folk Society known for hosting concerts at the historic Mackenzie Hall will be providing sound and lending a hand for the performance. Want to attend this rare performance? When: Thursday September 15. RSVP only by contacting Karen @ [email protected] or call 519-979-8919 at which time the address and more info will be given. Where: Windsor/Riverside area Donation: $20 directly to artist. Who: Linda McRae with special guest/s Karen Morand and Boscoe and Allision Brown.